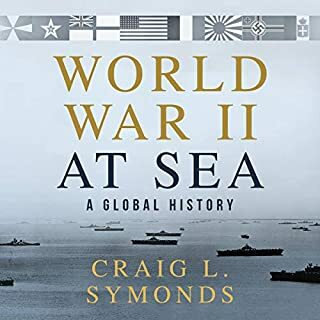 It seems that we will never run out of new books about World War II. That is not a bad thing. World War II saw more combatants than any other war in history. It affected a large percentage of the world’s population. Much of the war was fought between literate soldiers, officers, and civilians on both sides. This has left us with a mountain of material. Every author has his own reading and prejudices that he brings to the study. This means that we will receive many different views of the same subject. 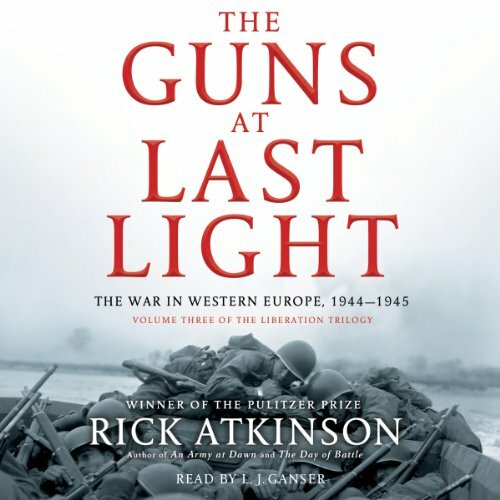 Rick Atkinson’s The Guns At Last Light: The War In Western Europe, 1944-1945, brings us his view of the war. The book starts with the invasion plans for Normandy. 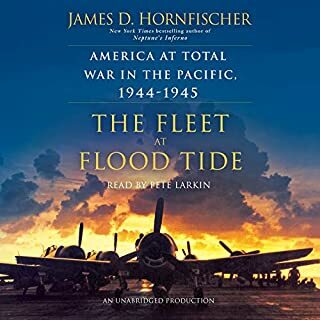 Atkinson goes in to a lot of detail about the logistical troubles that the allies had to prepare for what would be the largest amphibious assault in history. The information on D-Day itself and the Normandy campaign is very comprehensive, but not overwhelming with minutiae. The author points out the successes and failures of the campaign. One of the great failures was the lack of preparation by the commanders for dealing with the hedgerow country. Many books on the campaign in France tend to focus on the Normandy campaign and the subsequent breakout. There was a subsequent invasion of the south of France known as Operation Dragoon. Atkinson spends a good deal of time talking about Dragoon. He also spends a lot of time discussing Operation Market Garden. Market Garden was one of the more controversial campaigns of the war and it is covered quite well here. One of the reasons Eisenhower was willing to try Market Garden was the need to stop the new rockets that Germany had developed. First the V1 then the V2 rockets were causing a lot of havoc in London. The other reason was the need to gain Antwerp. Logistics was a nightmare for the Allied force. The port in Antwerp would significantly increase the supply capacity. The Battle of the Bulge is portrayed in the book as the greatest failure of Allied intelligence during the war. The Battle is portrayed in very vivid scenes. This section contains some of Atkinson’s best prose. One can almost feel the cold when reading the book. Atkinson spends a lot of time discussing generals who are not as well known to the general reader. Almost everyone has heard of Eisenhower, Patton, Bradley, and Montgomery. Here we also get to see generals like Roosevelt, Truscott, Hodges, Devers, and others. Atkinson is obviously not a fan of Omar Bradley and never passes up a chance to criticize him. He tries to be fair to Montgomery, but it is hard. I’m not sure that it is possible to portray Montgomery accurately and in a positive light. There are a lot of stories about the British intrigues against Eisenhower. The British never approved and never understood Ike’s large front strategy. They always favored a narrow front with a heavy strike force. Of course they also wanted Monty in charge of it. Eisenhower knew better. Ike favored the same kind of battle order that Grant used in the Civil War. He knew that the Germans simply didn’t have the manpower to hold the entire front. The Malta and Yalta conferences are the subject of a chapter and they help to set the stage for the end of the war. It is interesting to see the interaction of the three leaders (Roosevelt, Churchill, and Stalin) as the decide the fate of Europe in the post-war. The section on the liberation of the concentration camps is also very well done and very interesting. I was intrigued to lean that at Buchenwald American troops and officers took it on themselves to kill a number of SS troops who surrendered. The only really weak point in the book occurs here. Atkinson seems outraged by the actions of the American troops and seems them as simply murderers. His language gives the impression that it makes them no better than the SS thugs that they killed. I think that the context certainly gives the lie to any such moral equivalency. The GIs were well aware that the SS had massacred American POWs during the Battle of the Bulge. Now they see this fresh hell and in front of them are the men who committed the atrocities. I doubt that any of the soldiers who took part in the executions slept poorly over what they did. That one criticism aside this is an excellent book. Atkinson’s style is easy to read and the information is presented in such a way that the average reader will not be overwhelmed. He tries on the whole to give a thorough look at the campaign and the players. This should not be the only book that you read on this subject, but it is a book that you should read. Zoom Goes the War…Where are the People? 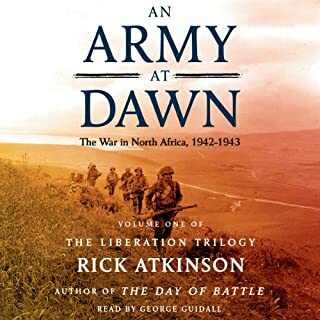 Unlike Atkinson's first two extraordinary treatises on North Africa and Italy, The Guns of Last Light lacks previous compelling and well-developed personalities. Yes, the usual and important historical figures are there (Patton, Bradley, Ike, and Audie Murphy), it's just that they are lost in the details of Arden, The Bulge, and D-Day. And, this is why I was not enthralled with this historical fiction/non-fiction. In the first two books we saw into individuals and their thinking, with all the appropriate disclaimers about 'this might have been said, but we don't know for sure.' In "Guns at Last Light" the author strays from risk-taking and speculative history to recite the facts and dates of battles already familiar to previous readers of WWII history. 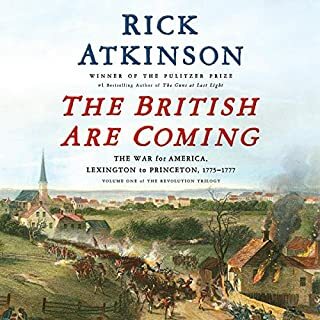 I felt like I was taking a military history course at an academy while listening to this final installment of Atkinson's trilogy. Sooo…would I recommend this final installment? Yes, if you are new to WWII history, but No if you already know what happened before and after the allies crossed the Rhine. Wonderful research, but where did it happen? The author's scholarship and style is commendable. His book is an insightful, moving, and detailed account of these great moments in world history. But it is history. And history is linked to geography. The narrator phrases clearly but too often leaves you with no idea where these events take place because the proper pronunciation of too many of these foreign place names escapes him entirely. This production is sinfully sloppy. Do listen to the book, but check with a map and an audible source of foreign place names or your friends will laugh should you discuss what you've learned. And you will learn a lot. 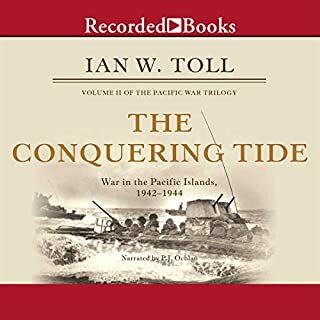 The narrator, who was good in every other respect, ruined this book for me with his constant mispronunciation of European place names or the names of some of the key generals. Honestly, if you don't do any research as a narrator, don't be a narrator. Funny enough, he did fine with the German names, but his butchery of Dutch, Flemish, and French still irks me a week after finishing this brilliant book. This book is so relentlessly grim and depressing that I had to alternate chapters with a light-hearted Bill Bryson book to get through it. But I am glad I read it and was reminded one more time of the events that shaped the world I lived in as a boy. The reader moved this very long book along well, though I think he played hooky on some classes in French 101. Where does The Guns at Last Light rank among all the audiobooks you’ve listened to so far? I am a fan of World War II, as a Former Paratrooper this is my History, My Units History. Well written, Well Read. 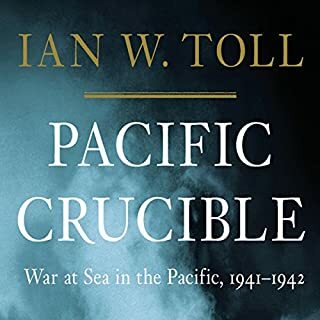 If you are a fan of World War II this book will give you new insight into the dysfunction of the Allied Army, The Disconnect of the German High Command to the actual situation on the Ground. years ago, I read the first two in the series, life's too busy to read this one so audio book was the perfect fit. Very much enjoyed it, however the narrator's butchering of Dutch pronunciations (Nijmegen!!) was painful to listen to over and over again. Would you listen to The Guns at Last Light again? Why? The story is written in a cogent manner that takes the reader (listener) through conflict of WWII in Europe while describing the broad strokes of the conflict and including details of soldiers at the personal level. The narrator does a good job of capturing the listener's attention. What other book might you compare The Guns at Last Light to and why? The author's previous two book on WWII in the European theater are equally well written and narrated. This trilogy places WWII in Europe in an accurate and complete historical account. Ganser is talented at subtly changing his voice and inflection to capture quotes and characters. The book is engaging -- it makes my commute enlightening and entraining. Must buy along with the previous two books. What made the experience of listening to The Guns at Last Light the most enjoyable? The expanse of military politics. No favs - it is non-fiction. What didn’t you like about L. J. Ganser’s performance? I'm so sad to see this trilogy conclude. Such a great journey of history of American involvement in the European theatre of WWII. This is clearly Atkinson's life's work of love and passion.